Meredythe Goodreau received her Associate Degree in Nursing from Greenville Technical College, her Bachelor of Science degree in Nursing from the University of Phoenix, and her Master of Science in Nursing from the University of Phoenix with a focus in Nursing Education. Prior to joining the full-time faculty at Newberry College in 2015, Goodreau worked as a nursing faculty member at Midlands Technical College in West Columbia, SC and as an adjunct clinical faculty member for the Newberry College nursing program. She has experience in the area of staff nurse education as well at hospitals across the Midlands. 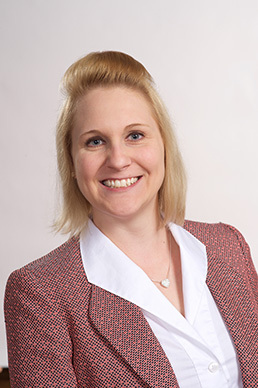 Goodreau is a practicing Registered Nurse since 2007 with experience in several areas–Cardiac Telemetry, Pediatrics, Neonatal Intensive Care, and Mother-Baby. She is a member of the Sigma Theta Tau International, Honor Society of Nursing.